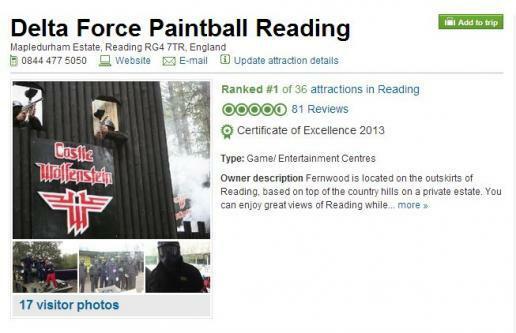 Delta Force Reading Paintball venue - leads on TripAdvisor Reviews! Delta Force Paintball Reading leads the charge on TripAdvisor! With six expansive game zones that combine heavily detailed structures and well-crafted props to create atmospheric mission scenarios, a spacious base camp with all the latest mod-cons and dedicated staff who are on-hand to solve any issues throughout the day, it is no wonder that the Reading Paintball Centre sits comfortably at the top TripAdvisor’s ‘Things to do in Reading’ rankings. The well-respected travel website is a Mecca for those wanting to leave customer feedback after activities and visits, good and bad; clearly, the Reading Paintball Centre has stuck to the Delta Force Paintball code of putting the players first before anything else! 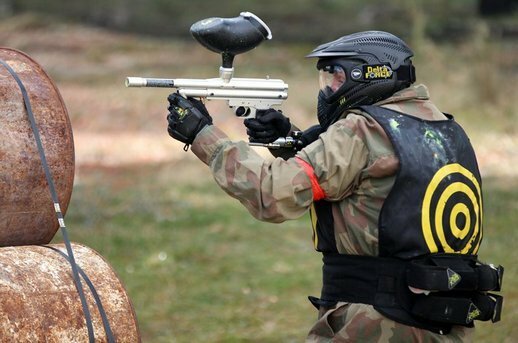 Currently, the Reading Paintball Centre leads the way ahead of a number of the city’s tourist hotspots, including a number of museums, parks and theatres – it just goes to show that nothing tops an adrenaline-packed day of paintballing! It’s an activity that anyone of any ability can get involved in – why settle for walking around and staring at things, when you can sprint around in the forest firing off paintball after paintball?